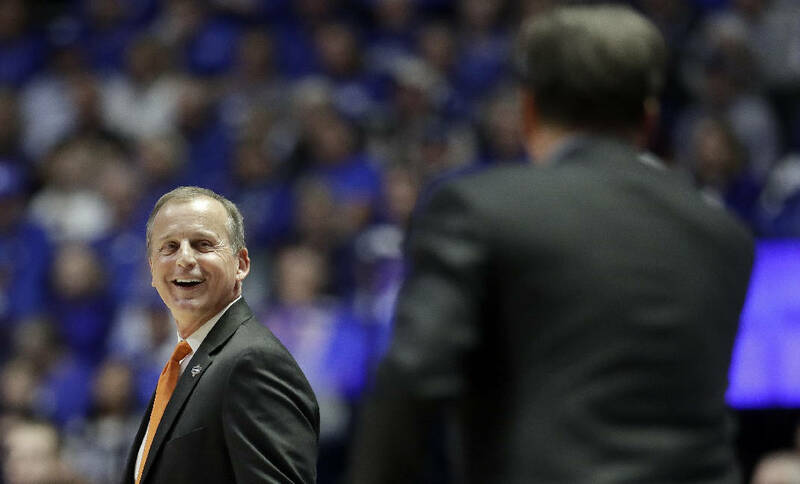 Tennessee men's basketball coach Rick Barnes, left, laughs at a comment made by Kentucky coach John Calipari, right, during the second half of their teams' SEC tournament semifinal clash Saturday in Nashville. Tennessee won 82-78. NASHVILLE — With arguably the most stunning comeback in University of Tennessee basketball history complete, an eight-point Kentucky lead with 2:45 to play having turned into an 82-78 Big Orange victory in Saturday's Southeastern Conference tournament semifinal headliner, a UT assistant turned to head coach Rick Barnes as they were leaving the Bridgestone Arena court and said, "This is the greatest game I've ever been involved in." Kentucky fans might dispute that. They might call it one the most painful defeats they've ever been involved in. And those numbers — eight down with 2:45 to go — no doubt will be repeated by both schools' fans for years to come. Especially since UK and UT fans alike now can start calling Barnes "The Cal Killer" in regard to Kentucky coach John Calipari. 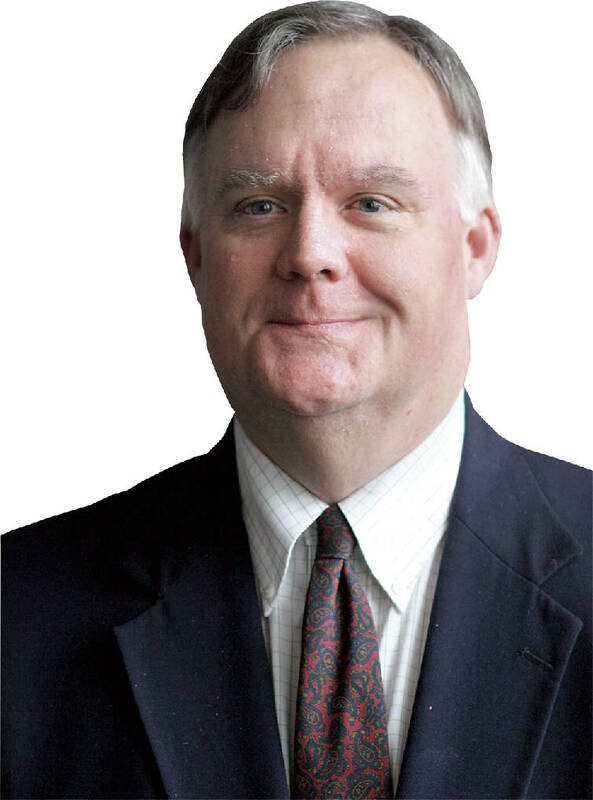 After all, this was not only the fourth time in the past six meetings that Barnes has gotten the best of Cal, but there's also that game in 2016 when the Wildcats led by 21 points inside UT's Thompson-Boling Arena and somehow lost. But none of those previous Big Orange wins carried the importance of this one, which just may have handed the victor a coveted No. 1 seed in the NCAA tournament when the 68-team is announced Sunday evening. Of course, the eighth-ranked Vols probably have to knock off 22nd-ranked Auburn in Sunday's 1 p.m. EDT SEC tourney final to have any chance to secure that top seed, but if you come from eight down with 2:45 to go against the fourth-ranked Wildcats with Bridgestone at least 60 percent clad in UK blue, you can probably subdue an Auburn team playing its fourth game in four days. Especially since the Tigers upset the Vols on the final day of the regular season in Auburn, a defeat that cost UT a share of the regular-season championship. But this one should justifiably live forever with the Big Orange Nation, whatever happens against Auburn. "Honestly, it was just our toughness," said Admiral Schofield, who led the Vols with 21 huge points but may best remembered for his assist to Lamonte Turner with 30 seconds to play, Turner's 3-pointer giving the Vols a 78-76 lead they would never again lose. "From that eight-point lead all the way down, our main focus was taking care of shots, taking care of the ball, being tough on the glass." Said Calipari of that same decisive stretch: "With an eight-point lead, we should win that game. They said, 'You're not winning the game. We're not giving up. We're not stopping.' You've got to give them credit." What happened in that last 2:45 backs up everything Cal said. The Cats committed two huge turnovers in that stretch, one by freshman guard Tyler Herro and one by freshman wing Keldon Johnson. The second of those turnovers — with Kentucky clinging to a 74-72 lead — led to a Grant Williams 3-pointer out of the right corner that put the Vols ahead 75-74, their first lead in more than eight minutes. Then came the play of the game, a play that only a mature, focused, unselfish, opportunistic team makes under pressure. Schofield had just missed a 3-pointer with 44 seconds to go after UK forward P.J. Washington had returned a one-point lead to the Cats, 76-75, on a tip-in of his own miss. Somehow Williams got the rebound — "We were one rebound away from winning," Cal bemoaned — and called a timeout. After the break, the ball went into Williams in the post, who passed it back out to Schofield, who drove toward the basket, then fed it outside to Turner three feet outside the 3-point line at the top of the key. Turner had hit a similar shot with similar time on the clock to beat Kentucky in Rupp Arena a year ago. This one was no different. It swished cleanly through the net. The Vols led 78-76. Four straight Jordan Bone free throws in the final 10 seconds cemented the victory. Said Turner of that dagger trey: "I've been thinking too much, overthinking my shots. When it gets down to those moments like that, I don't think. I just let it go." It's been 40 years since the Vols last won an SEC tournament title, that championship coming in 1979 with an overtime win over Kentucky. "Obviously, these guys weren't even born," Barnes said of that long-ago crown. "This time of year, you don't get a lot of chances to play for championships. When you do, you need to hope you can take advantage of it." When you can come from eight down with 2:45 to go to win by four against the No. 4 team in the country, you shouldn't have any trouble taking advantage of an Auburn team playing its fourth game in four days. And should that happen, unless something bigger happens in the NCAA tourney, this won't just go down as the greatest game UT's ever played, but also the greatest weekend in UT hoops history.